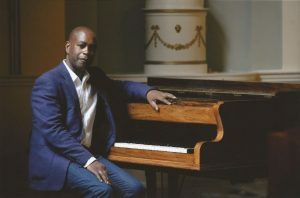 The Suite is written by Leicestershire Composer, Philip Herbert (pictured below). It was commissioned by Serendipity UK for the 2014 Let’s Dance International Festival, where there was an opportunity to collaborate with the acclaimed choreographer, Henri Oguike along with dancers. 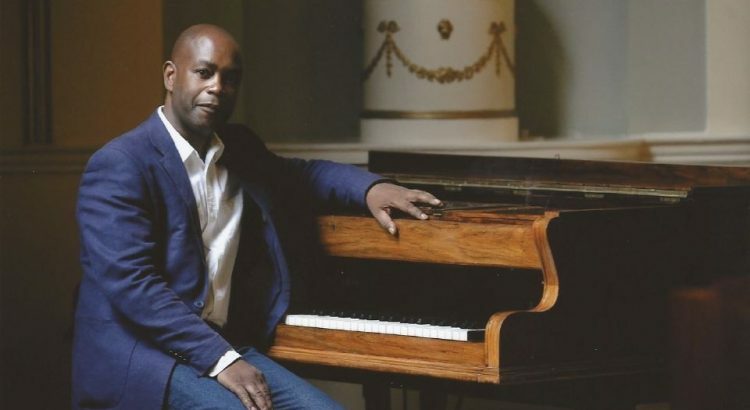 The Suite ‘Silent Aria’ carries this title, as the suite was inspired by the work of award winning black choreographers who worked during the 1970s, 80s and 90s; but more recently their work has become forgotten. Each movement is imbued with an eclectic array of musical influences. In the first movement, there are some beautifully sustained melodic lines for the oboe, suspended over a syncopated 3 note motif that is coupled with arpeggio figures in the piano accompaniment. There are also sections of this movement, where there are lush chords progressions that you might find in a soul ballad. The second movement is based on a soulful theme and variations which carries the influence of a spiritual/blues, pentatonic tonalities: with opportunity for the oboist and the pianist to swing across the beat. The third movement, is ternary in form and there is a dark haunting main theme in C sharp minor, but the mood lightens in the middle section that is in C major, before returning to the opening theme in C sharp minor. The fourth movement is rhythmic where the musical influences touch on calypso and latin dance rhythms. There is plenty of room in this movement to enjoy the joyous rhythmic exchange between the oboe and piano parts. It could be programmed with works such as the sonata for oboe and piano by Alwyn, or Poulenc’s sonata for oboe and piano, or even Edmund Rubbra’s sonata in C for oboe and piano, along with Schumann’s Romantic pieces, Bartok’s Romanian Dances, Ravel’s Habanera, or even pieces by Benjamin Britten. You can hear an excerpt of the suite here http://www.philipherbert.org/sound/ in it’s abridged version, as found on the ABRSM syllabus. 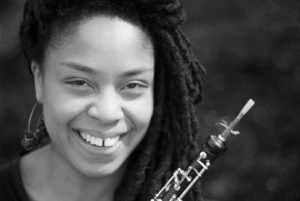 Khemi Shabazz (pictured) is a versatile oboist and a keen explorer of a range of musical styles from classical music, world music through to electronica. She is currently planning a recital for oboe and piano in Leeds, to feature this work. Watch this space.